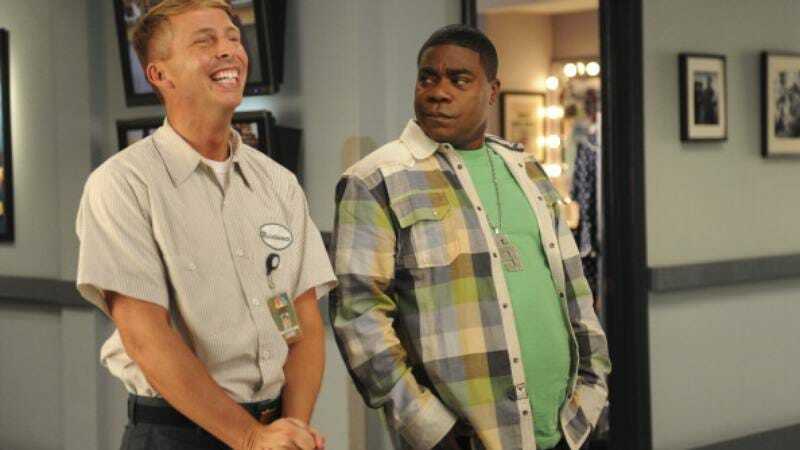 Tracy Jordan (Tracy Morgan) and Kenneth Parcell (Jack McBrayer) became inseparable buddies on 30 Rock—though it often looked like Kenneth was in thrall to Tracy and his whims, he was actually a potentially immortal being just trying to do some good on this Earth. But over the course of 136 episodes, we heard the self-centered, oblivious TV and film star call for the page more times than we can count. Now it seems old habits die hard for Morgan, who still calls McBrayer by his character’s name when they talk.